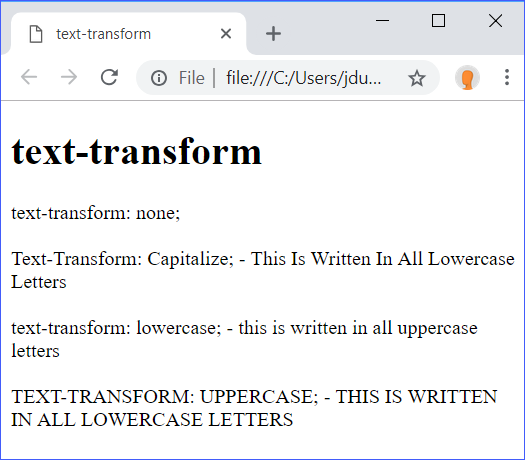 In this lesson, you will learn about CSS text. 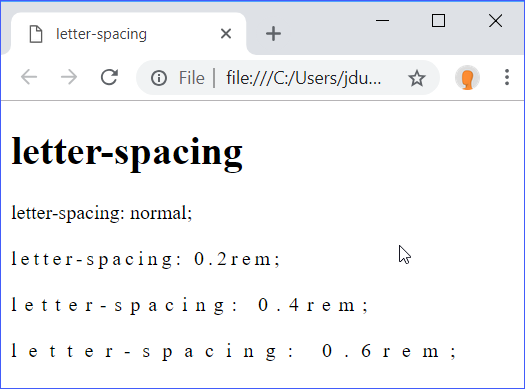 Work with the letter-spacing property. Work with the text-align property. Work with the text-decoration property. Work with the text-indent property. Work with the text-shadow property. Work with the text-transform property. 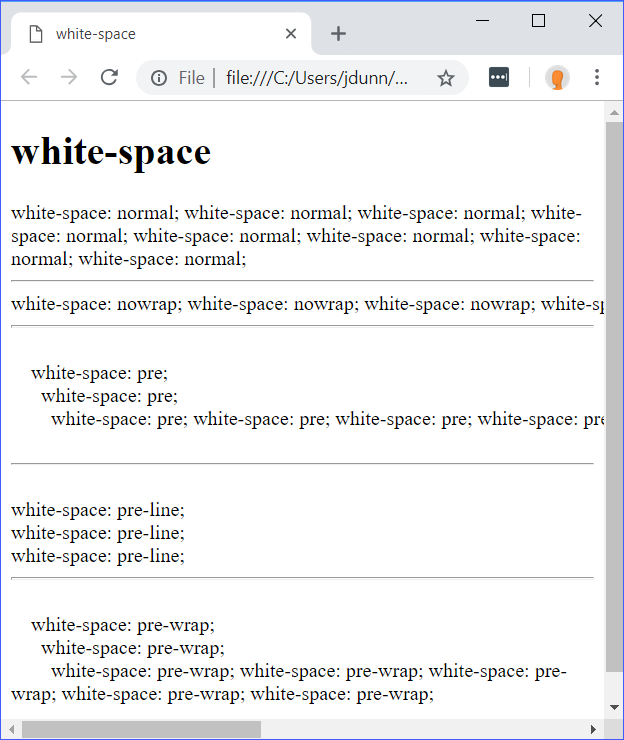 Work with the white-space property. Work with the word-break property. 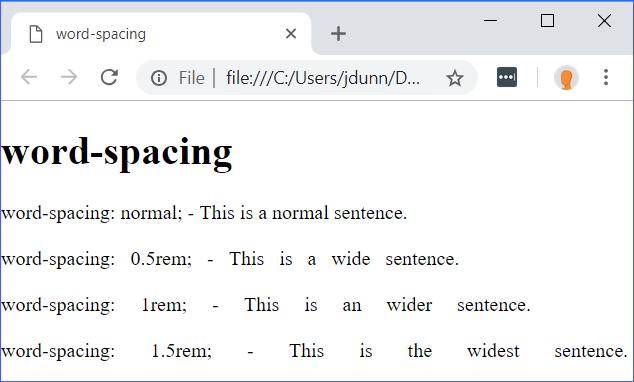 Work with the word-spacing property. 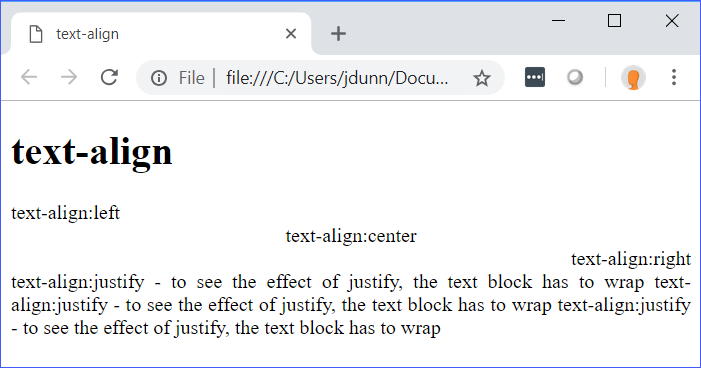 The text-indent property is used to indent (or outdent) the first line of a block of text. The value can be specified in number of units or in percentage of the width of the containing block. text-indent: 3em only applies to the first line of text. The next lines will not be indented. text-indent: 10% only applies to the first line of text. text-indent: -3em only applies to the first line of text. The next lines will not be outdented. 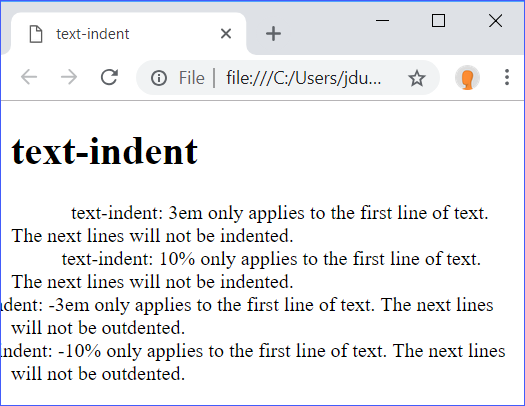 text-indent: -10% only applies to the first line of text. x-offset and y-offset - These are both required length values. x-offset must come immediately before y-offset. x-offset specifies the horizontal displacement (positive values to the right and negative values to the left). y-offset specifies the vertical displacement (positive values below and negative values above). If both values are zero, the shadow will be directly behind the text. blur-radius - An optional length value that specifies the size of the blur effect. If included, this value must come after the two offset values. 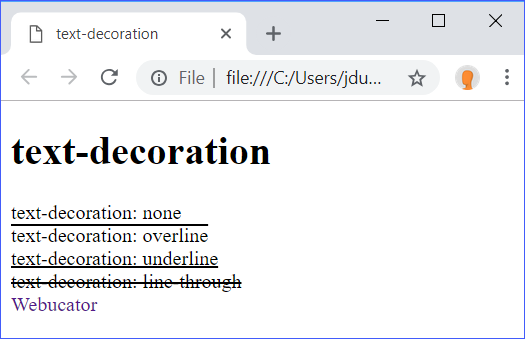 color - This is an optional color value that has to be either the first value included or the last value. 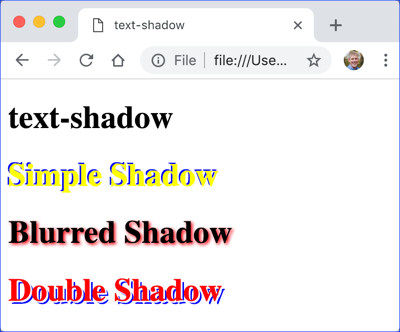 If not included, the browser picks the color, so for consistency across browsers, it is a good idea to specify the shadow's color. - This is a normal sentence. - This is a wide sentence. - This is an wider sentence. - This is the widest sentence. In this exercise, you will continue to work on the Runners Home page that you started in the Fonts lesson. Open CssText/Exercises/index.html in your editor. 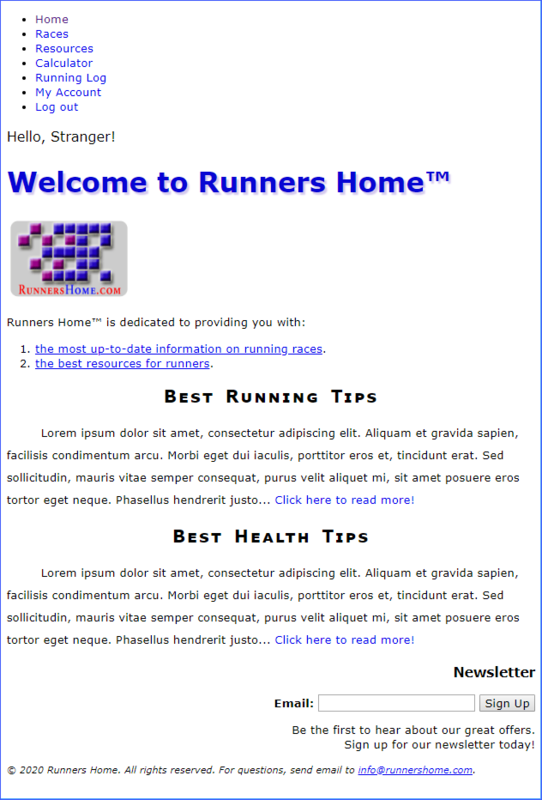 You will see the homepage for a website called Runners Home. Open CssText/Exercises/styles.css. This is stylesheet from the solution to the Fonts exercise. Feel free to continue working from your own stylesheet. 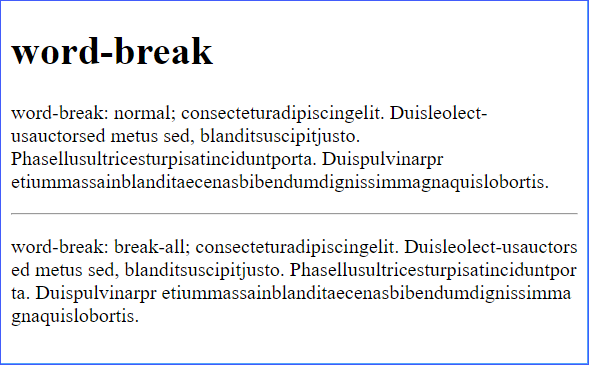 Using your new knowledge of text properties, add some styles to this page. The object of this exercise is to practice using the text properties covered in this lesson. Feel free to use color and opacity and any other properties you have learned as well.